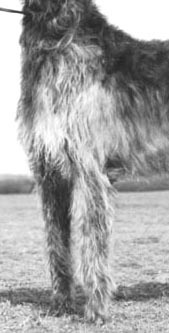 Neck; Very strong with good reach sometimes disguisaed by a mane. Nape of neck very prominent where head is set on, no thoatines. 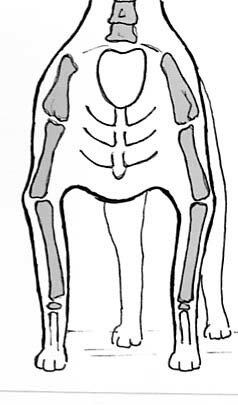 Forequarters; Shoulders well laid, not too far apart. Loaded and straight shoulders undesirable. Forelegs straight, broard and flat, a good broard forearm and elbow being desirable. We have tried to give you some line drawnings and corresponding images or dogs with similar structures. incorrect front assembly, upright in shoulder and short in upper arm giving a loaded shoulder. 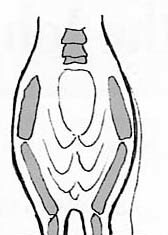 correct with good width between front legs giving plenty of heart room and good forechest viewed from the side. upright nin shoulder with no forechest, narrow at elbows and body shallow. Viewed from the front this hound would apprear anrrow with a chachedral front. a correct front assembly with good lay of shoulder. 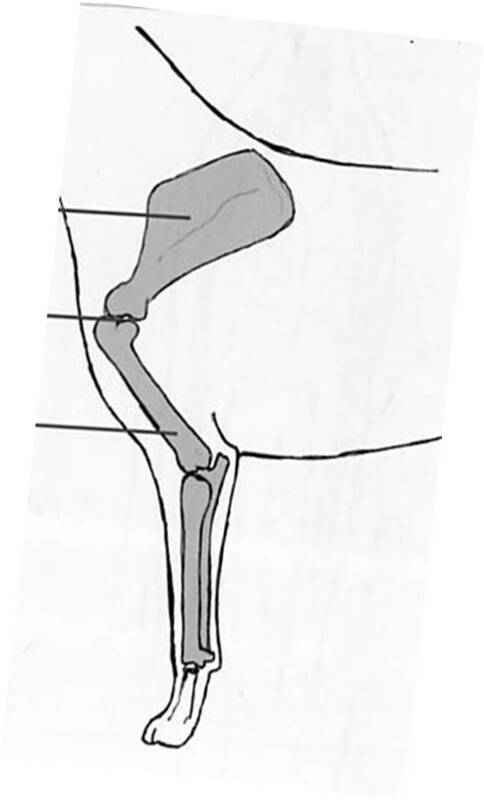 Notice good width at the elbow and nice flat bladed bone on this champion. right week and ten to two pasterns this often comes along with a narrow front and the elbows are week and pin in. Movement would be erratic.